Word Lens is not a new app but has reached viral stage this week when it’s creator Quest Visual published it for free for Apple and Android platforms. Word Lens is a real time translator, able to translate simple phrases and sentences as found on signs, menus and catalogues. 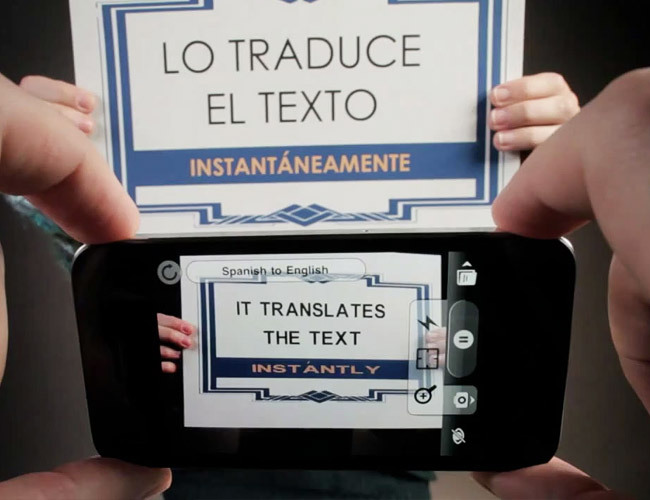 After downloading, you choose which language to translate from (eg from Spanish to English) point the device’s camera at the sign and it appears on the screen translated. A wonderful app for travellers overseas! This entry was posted in Computers and internet, NBN Digital Hub and tagged android, app, apple, ios, my favouite app, word lens by Symon. Bookmark the permalink.